Heavy semi-trucks, 18-wheelers, and other commercial rigs have a higher risk of causing fatal accidents, simply because smaller vehicles hardly stand a chance against their weight. After an accident of this magnitude, a big rig lawyer may be your only opportunity to recover the proper compensation. With commercial demands rapidly changing to satisfy market needs, vehicle engineers and manufacturers have created a number of different vehicles, designed to cater to those specific markets. However, while a number of these vehicles are outfitted with newer equipment, many of the undercarriages of these trucks have remained unchanged for years. In fact, the core safety systems on many of the trucks on the highways today were designed more than 25 years ago. Many of these vehicles are used on a daily basis, and in some instances, they are not as well-maintained as they should. That lack of upkeep could result in an accident caused by a mechanical failure. Due to the amount of time that most commercial vehicles spend on the road, there are a wide variety of conditions and scenarios that can contribute to an accident. When factors like road conditions, negligent motorists, lack of timely maintenance, and other related issues are included; the possibility of a severe truck accident occurring increases significantly every time that a commercial vehicle sets out for a delivery or pickup. For drivers in Savannah and its surrounding areas, it’s always a wise decision to drive defensively whenever in the vicinity of a large vehicle. And be aware, that while you are able to see them, in some cases, they may not be able to see your vehicle. According to data collected by the National Highway Safety Administration each year, there are a number of specific types of crashes that occur more frequently than others. For example; side impact type collisions are the most widespread, yet there are also a variety of other crashes that can result in serious personal injury and property damage for all parties involved – especially for motorists in smaller vehicles or those that are riding motorcycles. 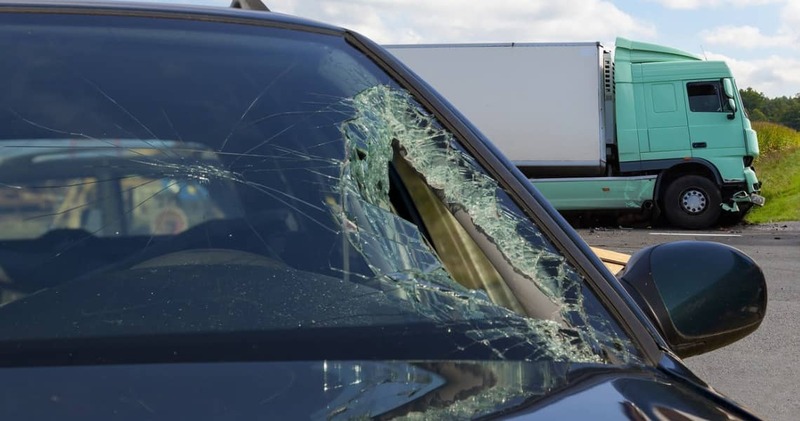 When any commercial vehicle is traveling at a high rate of speed, the force generated at the point of an impact during a crash can often have profound, devastating effects on all parties involved. While many vehicle manufacturers are striving to design accident avoidance systems to warn drivers of an oncoming dangerous situation, unfortunately, they might not be able to prevent a collision entirely. In some instances, an injury may not be known until a few days after the incident has occurred. Injury victims should always be examined by a medical professional as soon as possible after an accident with a commercial truck.